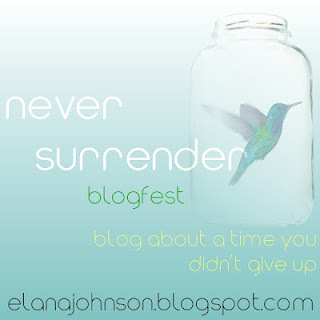 Today I'm excited to participate in Elana Johnson's Never Surrender Blogfest to celebrate the release of her incredibly awesome book SURRENDER. I know how awesome it is because I've already read the ARC. It's one of my favorite dystopian novels this year. So I'm going to share a time when I didn't surrender to a hard, challenging time. I could tell you about the challenges of completely putting myself through law school with little money and only taking out $6,000.00 in student loans and doing well in school. Or cramming a ridiculous amount of facts in my head to pass the bar exam. But those weren't the most challenging times in my life. The one I'll share with you happened five years ago next week. It was part of my worst year ever. To give you a little background, I've been with my husband over 30 years now and he's always had serious lung problems that have required him to go to the hospital on many occasions, some life threatening. He's gone from being on steroids and lots of other medications to also using oxygen at home and a walker to get to from his car to work or for any walks that involve much walking. He doesn't do much of that even with the walker. So about six months before this experience, I went through another incredibly hard experience. My younger sister, and only sibling, died after a courageous 15 year battle with breast cancer. But I won't share that extremely difficult experience today. Fast forward six months. My husband's step-brother was getting married so we went to Dallas to visit my husband's family, to Austin for the wedding, and two days to San Antonio for a mini-vacation. This was the first fun thing we were going to do since my sister's death. The wedding was first and we had a great time. We took my father-in-law with us on our trip to San Antonio. We had a wonderful first day visiting the Alamo, eating at a really good Mexican restaurant, and going to a Mexican shopping mall. We had a full day of fun activities planned for the next day too. That night around midnight my husband went to get ice while my daughter and I watched a Harry Potter movie. He fell outside our hotel room for no reason and broke his femur and hip replacement and dislocated his elbow. He had to be airlifted out of our hotel room because the stretcher wouldn't fit in the elavator. I was so grateful my father-in-law was with me. He got us to the hospital all the way across town in this unknown city and stayed in the emergency room with my 10 year-old daughter and me all night. Surgery is always extremely risky for my husband and this surgery was very dangerous. Like very life threatening. And they couldn't do his surgery for six days because there was a really bad auto accident the same night and those surgeries had to come first. So he was on heavy duty medication for the pain while he waited. My mother-in-law flew in and she and my father-in-law took care of my daughter while I was at the hospital all day. The day of the surgery was torture sitting in the family waiting room for 6-8 hours with a call from the surgery room about once every two hours to update me. Sitting there alone was so hard. But I had to be strong for my husband, my daughter, and my in-laws. Thankfully he survived it and the doctors were so relieved they all high fived each other. But in trying to reset his elbow, they severed a nerve to his hand. They didn't know if the nerve would ever grow back. So he only had use of one hand and one leg. Then my daughter went back to Dallas with my in-laws and I was in San Antonio alone. I had to find a cheap hotel to stay at, a car to rent, and just figure out how to get around. All in a place where I knew no one. I spent all my time at the hospital. My husband was in a semi-ICU room with four to five other patients for about a week. That experience would make a good adult novel because the people were so weird--like a drug addict and someone who'd been a gang member just to name a few. More than once while he was there I'm convinced I pulled my husband back into wakefulness from near death. He thinks I did too. The best time of this horrible experience was when he was moved to rehab. There was no other patient in his room so I got to stay there for a little over a week with him. I've never been to a hospital for myself or spent the night there. But I slept the best there on a fold out chair during this whole ordeal. Just being with him was reassuring. After about a week and a half of rehab, I knew I had to leave my husband there and get my daughter and go home. Because I needed to get a ramp built and get him a wheelchair and other things he needed when he got home. I arranged for my nephew to bring him back about week later. It was the hardest thing to leave him. Even though I knew he was in good hands and okay, it was so hard going back to Michigan with him so far away from home all alone. When he got back, my daughter, who was 10, gave up the rest of the summer of camp with her best friend to care for him while I went to work. She learned how to give him shots and do everything he needed while I was gone. She was so amazing. I took him to rehab three days a week before work and to all his doctor appointments and worked full-time. Because I had a few really messy bankruptcies to fix and my first Michigan Court of Appeals appeal to deal with that I had filed the day before we left for our trip. And I had no idea what to do but I knew there were big deadlines. Like lots of research and a brief to write. While going through this with my husband and juggling my full caseload at work, I had to write this very major 50-60 page legal brief. The attention to detail in that type of brief is as bad as in any published book. And I had to do all the research and write it in about six weeks. My husband miraculously bounced back from this. He was able to walk and went back to work. For awhile he worked with only one hand but then amazingly the nerve grew back in his hand after six months. Our families who saw him then can't believe how well he overcame this. We are so thankful. During so much of this ordeal, I wanted to crawl in my bed and pull the covers over my head and never get up. But I had a helpless husband to care for, a daughter looking to me to tell her things would be okay, and my in-laws looking to me to handle everything. So everyday I put one foot forward after the other and did what needed to be done. Sometimes I was a mess inside emotionally, but I did what had to be done. I honestly try not to think about that time because it was so awful. The whole year was. 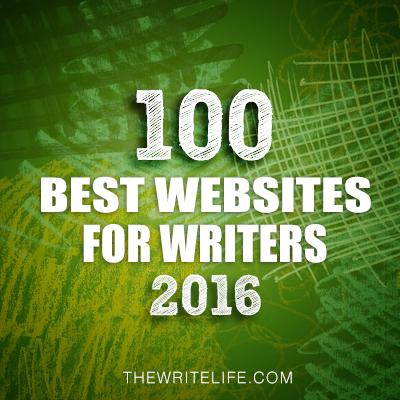 But I'm glad for this blogfest to reflect a bit. Because I realize I've been through the worst life can probably give me in one year. And I didn't give up and I didn't surrender. Unfortunately as you grow older (yes I am older than many of you), you realize that life does not always give you good experience. But we can survive them and there is so much in life to be grateful for. I'm facing my next big challenge right now. My company lost its funding and is closing in two years. I'll have to find a new job and career after over 25 years in one job when I'm laid off. It's already so hard being there some days. But as I face it, I'll remember this time 5 years ago. And it will give me the inner strength to know that I can survive this challenge too and I know I won't surrender. I'm going to end by sharing Elana's new awesome book. 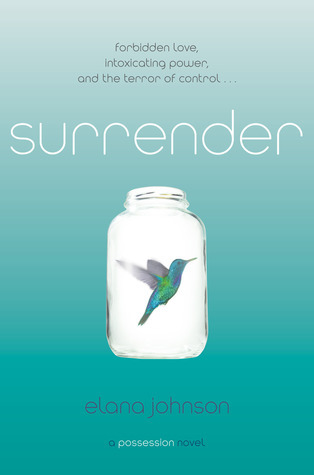 I'm giving away my ARC of SURRENDER. And I've decided to extend the contest until June 23rd to give you an extra chance to enter the contest. Because you want this book, trust me. 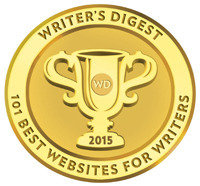 I also won a copy of Elana's e-book REGRET. Since I already have this, I'm going to give away the new one I won too. 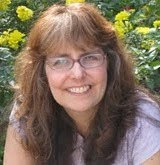 On Monday I'm interviewing Lynda Mullaly Hunt and giving away a copy of ONE FOR THE MURPHYS, a contemporary story about a girl in foster care that I really, really enjoyed. So what's a time you didn't surrender? What an amazing, heartfelt story. How you coped with so much, and how your husband dealt with such struggles, I'll never know. But you both showed your daughter strength, and she was able to show you hers, and that experience must have made you grow so close to each other. What a shocking story, Natalie. It's hard to believe what an incredibly difficult time you went through. No wonder you don't like to revisit it, as it must bring back so much of the pain. Thank you for having the courage to share it on your blog. As a daughter who watched her mom in a similar situation (sick dad in ICU), I can tell you that your strength definitely made an impression on your daughter. I already had a lot of love and respect for my mom before my family went through our situation, but watching her gracefully deal...it was amazing. It taught me a lot about love. Natalie - this is a beautiful story about family and strength. Clearly you were a role model during this time for your own daughter who learned to give her father shots at age 10. Your strength, her strength, and your husband's strength is remarkable and inspiring. 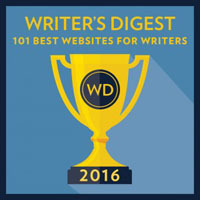 I too am part of the blogfest and have enjoyed reading so many stories like these that show both beauty and courage of the human spirit. I love your line about getting older and realizing life doesn't always give you good experiences. But we learn to survive them and be grateful for what we have. You're an amazing person, Natalie. Natalie, I don't know what to say. You and your husband and your daughter are amazing. What an ordeal for all of you. I was relieved when I got to the part about your husband being able to work, and regaining the use of his hand. You're all so strong. My mother fell down the stairs and was in a coma when I was 14 and my sister was 8. Those months were awful. I'm sorry about your company closing. At least you have notice. I wish you the best. You are even more of an amazing person than I already thought you were. ((hugs)) You have championed, where others might not have. You should be proud of your accomplishments. They speak volumes about your character. Your daughter is also a champion as well as your husband. My heart goes out to you all. What a tremendous story. These are the events that feel like they are scarring us forever at the time, but in hindsight prove to have made us stronger. So much respect for you, your husband, and your daughter. What a way to bind a family together! I hope and trust that this new challenge in your life turns out to be an opportunity for new and exciting growth, instead of a setback. Natalie, thank you so much for sharing this extremely personal time. This is a never surrender moment for your entire family, something you all can draw upon in the future when things grow hard. What a beautiful story! Thank you for sharing it. I agree that many of the experiences life gives us aren't good, but that's the point. You are much stronger for having gone through that and can handle much more than you could have before it. Be proud of what you've accomplished! We all are! That is an amazing story. And it's amazing how strong you've become because of it. Just think how you'd react to the job change if you hadn't gone through this time with your husband. Wow, you are amazing. Thank you for sharing. After I shared my Day in the Life post at Sophia Chang's blog, I remember you commenting that you totally understood where I was coming from, juggling ten balls in the air and occasionally one falling. Well, what you've shared today is a truly inspirational testament to the power of Never Surrendering. The time you describe, honestly, should and could make a heart-rending, tear-jerker memoir, one that I would volunteer to beta and purchase in a heartbeat. It was a dark hour of your life, your marriage and parenthood. Surrendering would have been so easy. But as you mentioned, you put one foot forward. You got out that bed each day and took one step and another and another. Now, here you are, stronger and wiser with a testimony. And I thank you so much for sharing it with us. Tough year indeed. I'm sure you are proud of how you pulled through this hard time, and so good that you can put it in perspective and draw from that stength now. I am amazed at your daughter's role in all this. I have a 10-year-old and it would take a lot for him to step up to such an "adult" resposibility. Good for her! I know you're going to be just fine when the time comes to find a new job. You're wonderfully dedicated and such a wonderful woman. Whatever new company you find will be so lucky to have you. Wow, what a story. I'm sorry your family had to go through so much. I'm glad you were able to persevere and your husband is doing better. I'm positive you'll find a way to get through your job struggle too! What an amazing triumph over what was an ordeal that would have broken most of us. You and your daughter showed such inner strength, as did your husband in recovering so well--particularly in the use of his hand. 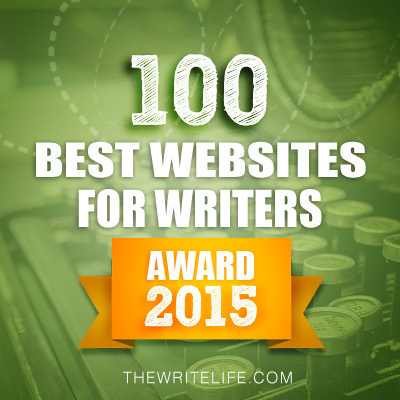 Wow, thank you for sharing your personal struggles and triumphs with us. It's not easy to do, and it really shows courage. Your story really shows how much inner strength you really have. Sometimes in the end, that's all we have. Signed up for Never Surrender. You absolutely blew me away with your experiences and what you've been through. You definitely did not surrender and I'm so inspired and amazed! What a great example of never giving up! Thanks for sharing that. I think we need to remember as long as we keep fighting and are surrounded by those we love...it all works out in the end. Oh Natalie, you are such a brave, strong woman with a huge heart. You had me misty eyed by the time I got to your daughter taking care of her dad, at the same age as my daughter now. We meet so many people and only see a sliver of their world. We often have no idea what they've been through or even what they might be currently facing. It makes you realize how important little acts of kindness are all the time. I'm giving you a big hug next time I see you. Oh wow, Natalie. That it quite the ordeal. I already can't stand hospitals, because I every time I go to one someone dies, so I can't imagine spending days and weeks in one. You are so strong. I'll bet it was your determination that pulled your family through. I LOVE THIS!! First, I love lady lawyers. My dad wishes I was one and for years I did too. Second, I love that you also see the dark period as proof that you can make it through whatever life throws you. I also have a few "worst years ever" and it makes the other years all the more sweet. Thanks so much for your wonderful comment on my Never Surrender post and thanks for sharing this with us all. Holy, cow, Natalie. You made me cry. *hugs* Go you for not giving up. Having others counting on you can make all the difference. When my first husband died leaving me with two young children, people would ask me how I did it. Those kids gave me a reason to get up every morning. Wow, Natalie. What a horrific year. Thank goodness your hubby pulled through and you had the strength of your family!! It's amazing what strong people can do. Thank you for sharing your story, Natalie - it ws very inspirational. Wow! I couldn't imagine going through that. Ditto what Jessy said. I'm amazed at what people have survived. Natalie, you have been very brave. You have not only handled everything that life has thrown at you but also emerged victorious. You are an inspiration for all of us. A tight hug for you and my prayers for you and your hubby. this post is so ispiring. You are awesome! I'm rally sorry for all you went through and I hope to be just half as strong as you are when things get rough. What an amazing story. If you can keep going through all that, so can I. That was a very inspirational story! You were so brave, it must have been really hard. Thank you for sharing it! Natalie, that was a heart-wrenching story, but one of courage and resilience. As you say, some of it would be great in a novel. I'm so glad you've been through the fire and survived. Isn't the cover of Elana's book amazing? Looks like a great read and a wonderful way to launch it. D.
That was ONE TOUGH ORDEAL! You should be so proud of yourself that you managed so well. It is very difficult caring for a loved one, working, and raising a child. I can relate, I took care of my dad when he was diagnosed with pancreatic cancer. THREE MONTHS OF HELL for him and me. It was a terrible time. But, I managed and I was even partially crippled myself. I left that part out of my never surrender story. I Am SOOOO happy that your husband pulled through. It shows his NEVER SURRENDER spirit as well. He drew from your love, strength, and support. You are amazing .... I am honored to have read your story. Good luck with your next challenge. I know you will pull through because that is the type of woman you are. Now you can draw from his strength on those days when your really need it. Wow. You. Are. Amazing. Your daughter too. Thank you for sharing your story. I spent 6 months at the hospital when my twin boys were born premature so I can relate to some of your experience. Difficult things happen to strong people so I know you will get through your current challenges. Wishing all the best to you and your family. Natalie, you and your family are beyond-words-amazing. I can only hope to have half your strength in any adversity I have to face. You have proven that you will meet this next big challenge with grace. I know I'm late to reading this but your story is so inspiring yet at the same time my heart is just breaking for you and all that you went through. It's really an amazing accomplishment you and your family have had.